Avant Chamber Ballet presents Alice in Wonderland, a full-length ballet at the Eisemann Center in Richardson. This classic tale is brought to life by artistic director Katie Puder with 16 professional and 35 student dancers, and 9 great musicians playing composer in residence Chase Dobson's original score. Tickets are available at http://EisemannCenter.com for shows April 12th at 3:00 and 8:00 pm, and Sunday April 13th at 3:00 pm. 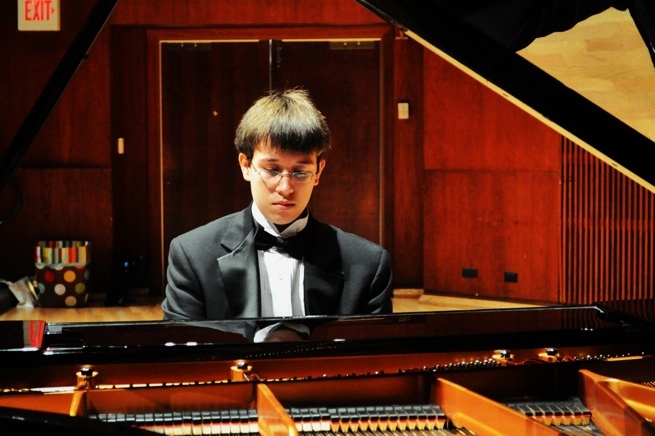 Chase Dobson's Piano Concerto No. 1 "Homage to Jupiter" is scheduled in the Dallas Symphony's 2014­-2015 season. The performances are on March 13th­­-15th of 2015. The internationally acclaimed concert pianist Lucille Chung is the soloist. Check the calendar at http://dallassymphony.com and buy tickets while you are there! April 19th 2014 in Horchow Hall at 3:00 pm members of the Dallas Symphony will perform Chase Dobson's string quartet Armageddon and other bedtime stories. This chamber work was composed during Chase's summer at Tanglewood in 2013.